We're truly living in a golden age for TV. And with the T3 Awards almost upon us, we're happy to celebrate that. 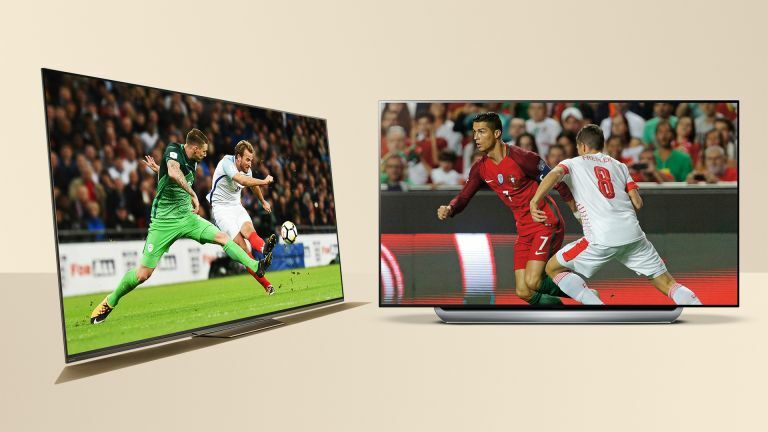 Whether we're talking about awe-inspiring, massive mega TV sets, of purest OLED, LED LCD or QLED, or fantastic content providers, there's never been a better time than this to get stuck in. There are some truly amazing soundbars out there too, and we celebrate them here as well. The T3 Awards is a big TV party, and everyone's invited. Okay, not everyone is literally invited – only about 500 people are. But you can all read who the winners are, and that's the main thing. So, here are the winners in the TV 'super category': Best TV (of course), Best TV Audio Product (soundbars, sound bases), Best Video Streaming Service and Best TV Platform (for broadcasters who don't only stream on demand). This list is best viewed on a 65-inch OLED. But it's okay, your phone will probably do. This is always one of the biggest Awards of the year, and also probably the hardest to judge, because all the big brands' flagship TVs are absolutely phatasmagorically good these days. By the narrowest of margins we plumped for Sony's AF8, the brilliant follow-up to the A1 which, perhaps not coincidentally, won last year. Available in 55-inch and 65-inch versions, the Sony offers an unrivalled blend of brightness, black levels, motion handling and audio. Other TVs may outdo it one area or another but the Sony, by a wafer-thin margin, has the best set of features for its price. The AF8 is a great looker when turned off, with bags of understated style, but it's all about that superb screen (which also, thanks to some very clever tech, happens to be among the best loudspeakers you'll find on a TV this slim). Highly commended: LG OLED C8. We highly commend all of this year's Best TV nominees, because they're all stunning, but our judges felt the C8 ran Sony's winner the closest of all. Little wonder; LG has driven the adoption of OLED and the C8 took all its televisual know-how and design genius, and put it in a surprisingly affordable package. It's almost cheating, the Sonos Beam. Not only is it a superlative soundbar but it's also a svelte and chic one that happens to include a fantastic implementation of Amazon Alexa, as well support for AirPlay 2 and just about every streaming service available to humanity. As a party trick you can also pair it with a brace of other Sonos speakers to get 5.1 surround, but the Beam sounds just peachy all on its own. It's hard to believe such expansive sound can come from such a small and perfectly formed lozenge of a speaker. Of course Netflix and Amazon Prime Video are brilliant, but their pre-eminence in recent times has rather unfairly masked the fact that there's another 'original content maker' that's been at the forefront of streaming tech almost since the start: the BBC. With a raft of quality dramas, world class sporting events and an entire streaming-only channel (the youth-orientated BBC3), iPlayer has the weaponry to take on the more glamorous streaming upstarts, and it trumped all of them by live streaming the World Cup and royal wedding in 4K. It's been a great year for iPlayer, and it's a deserving winner. Sky Q is a pretty regular winner of this category. Unlike in Best Video Streaming Service, where iPlayer rose to dethrone habitual victor Netflix, nobody was able to raise its game to quite the heights of the market leader in premium-grade TV consumption. There's not much left to say about Sky Q. The range of content and quality of the delivery make it a more than worthy winner. Even the new bundled, Sky-branded soundbar is outstanding.